Then we must never stop watching him. So true, and keep on squawking. Dunno how much more squawking I can do without having a nervous breakdown. I’ve been mostly avoiding national news since the election. The really captured the soul of the man, didn’t they? Made my stomach turn when it came up on the screen. It’s distressing to know how many seniors here vote Republican. I’ll never understand why. Lets face it PT not all seniors are like us; most seem to forget what the brain is sopposed to be used for! I realize some can’t help it, but the majority … I just don’t understand. Even the younger voters. They all have parents and grandparents dependent on these programs. Unless, of course, they’re wealthy enough to take care of all living generations in their family. If so, goodie for them. The rest of us still need these programs. As do we oldies in Australia, and luckily for us the government know they commit suicide if they try to take it away. 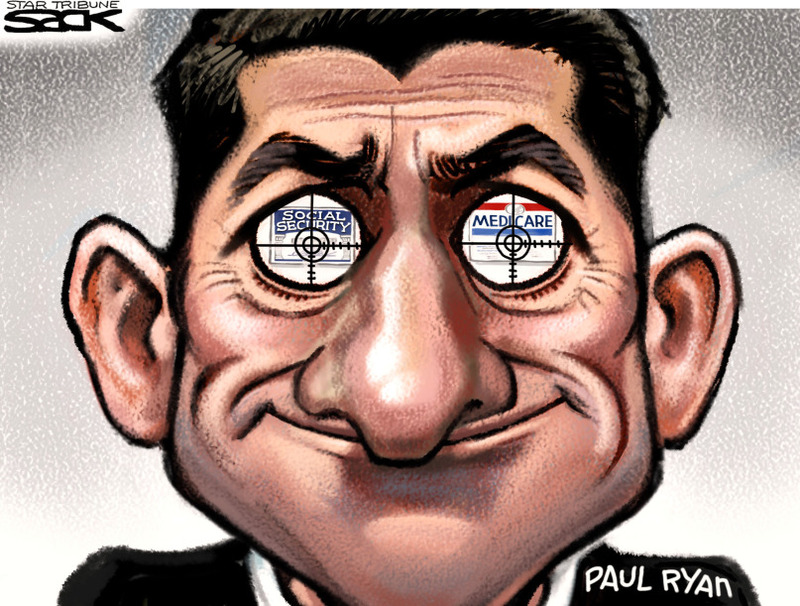 Paul’s got to save those tax cuts for those who don’t need them. … and often don’t pay them anyway.